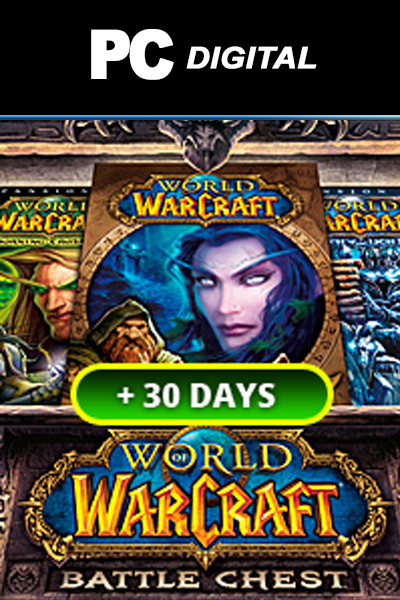 Buy World of Warcraft and get 30 day free with this special promotion here at Livecards.eu. Find great deals on many other products including WoW cards and codes. These codes have no expiry date. NOTE: THIS PRODUCT IS A TRIAL VERSION AND ONLY FOR NEW ACCOUNTS. IF YOU ALREADY HAVE AN EXISTING ACCOUNT THIS PRODUCT WILL NOT EXTEND YOUR CURRENT SUBSCRIPTION. Enter the ultimate MMORPG adventure! Buy these World of Warcraft Battlechest EU + 30 days free so that you can enjoy right away. 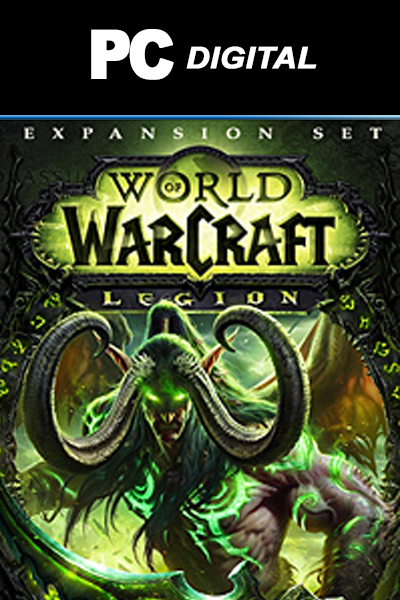 This package includes the original game including two expansions: The Burning Crusade and Wrath of the Lich King. Read more below about World of Warcraft! 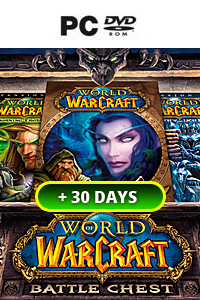 Have you ever played World of Warcraft and want to renew your subscription? Check out the 180 days WoW card. In this fantastic MMORPG you choose the character at the beginning. You can choose from two groups, the Horde and the Alliance. Both groups have their own areas with thousands of quests, unique cities and other storylines. Share your talent points, and choose whether you're going to damage, healer or tank. With this package you can have fun and enjoy WoW. Once your subscription expires, you can extend it again with one of our available tickets. Would you buy this WoW Battlechest EU? Once you have chosen your product, fill in your information along with a payment. Once your payment has been processed, you will instantly be redirected to a screen where you can access your digital code for personal redemption. When you buy from us, there is no waiting around, there is no driving the the store. We keep it simple so you can enjoy. Want a bit more, then try World of Warcraft 120 days. How to buy World of Warcraft Battlechest + 30 days free? Buying World of Warcraft Battlechest + 30 days free from Livecards.eu is as easy as 1 2 3! Simply fill in your email address, select a payment method and complete the payment! We have some of the cheapest World of Warcraft Battlechest + 30 days free on the market.